Introduction to dsPIC33F Architecture Part 1 Second generation digital signal controller features a flash up to 256K, RAM up to 30KB, a direct memory access controller, and run at top speeds of 40 MIPS. Introduction to dsPIC33F Architecture Part 2 Continue learning about the architecture and features of the dsPIC33. Compare the differences between the dsPIC33F family and the dsPIC30F family. 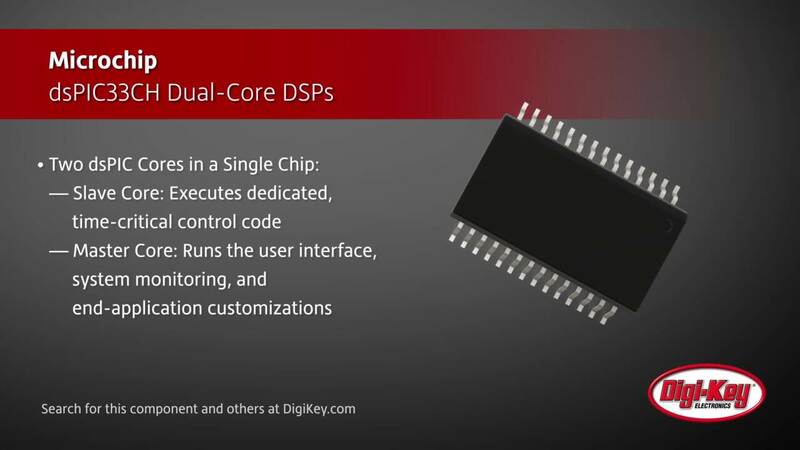 dsPIC33CK Single-Core Digital Signal Controller (DSC) Family Microchip's dsPIC33CK family addresses design requirements like high energy efficiency, system performance and robust operations in a cost-effective manner. Simplified Topology is Key to Solar PV Microinverter Design Reliability Microinverters offer distinct advantages in flexibility, efficiency, and safety for solar photovoltaic (PV) panels, but cost-effective options have been limited in the past. Power Electronic Solutions for Off-Grid, Solar-Powered Applications With the costs of installing photovoltaic solar declining rapidly, the technology is increasingly becoming a realistic solution to support off-grid applications.